This month, we’re devoting Designer Weekends to sharing all of the reasons why you should make a road trip to visit the DC Design House. Last week we posted a glimpse into the brilliant exhibit, “Pump Me Up”, showing at the Corcoran Gallery of Art. 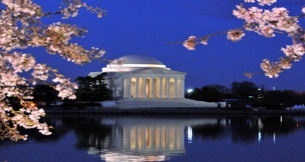 Via paddleboat, learn how to photograph the Cherry Blossoms at Sunrise with the help of Washington Photo Safari. 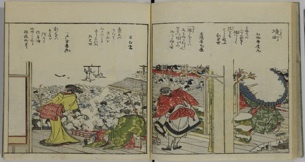 Celebrate the Arts of Japan at the Smithsonian FREER|SACKLER Galleries to learn more about Japanese Book Illustration. Create Your Own Silk Scarf at the Textile Museum with the help of artist Emi Kikuchi. See how the cherry blossoms are celebrated through art by local children at the Community Art Show in Union Station. Learn how to Make Your Own Shibori at The Textile Museum with the help of artist Candace Edgerly. 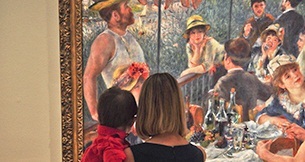 Celebrate Art in Springtime at The Phillips Collection. View the work of Erik Abel, Graham Franciose, and Ursula Young through the Branching Out Exhibit at the National Harbor. We’re grabbing a few Claritin and heading downtown!